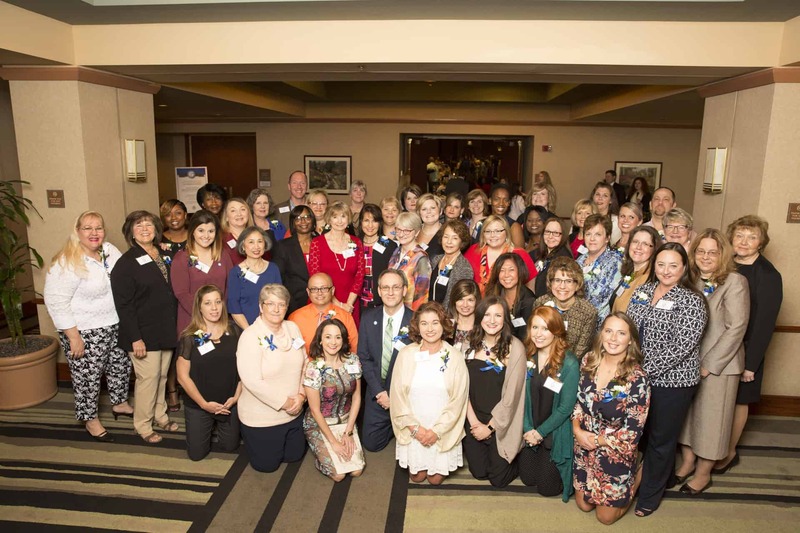 Photo by Steve Roberts/Celebrations Events | UAMS nurses made up half of the honorees at the inaugural Great 100 Nurses of Arkansas event. April 19, 2017 | April 19, 2017 | The Great 100 Nurses Foundation has released its list of the top nurses in Arkansas and half of the caregivers honored are University of Arkansas for Medical Sciences (UAMS) nurses. The UAMS nurses recognized encompass numerous backgrounds and specialties in research, administration and practice. To see the UAMS nurses honored, visit uamshealth.com/greatnurses. The Great 100 Nurses Foundation has honored nurses in Louisiana, North Carolina, Texas and Oklahoma. It was founded in Louisiana more than 30 years ago by P.K. Scheerle and advocates for nursing through support for nursing scholarships and research. This is the first year the foundation has recognized Arkansas nurses. Honorees were selected based on their concern for humanity, their contributions to the profession and their mentorship of others. The 2017 honorees were recognized at an April 11 dinner ceremony at Embassy Suites in Little Rock. Virginia Trotter Betts, president and CEO of HealthFutures Inc., was the keynote speaker. Several UAMS nurses honored hold faculty positions in the UAMS College of Nursing, which plays a vital role in educating future nurses in the state. The college provides undergraduate, master’s and doctorate nursing degree programs to more than 700 students. It offers the only Doctor of Philosophy in Nursing program in the state for nurse researchers and educates the largest number of nurse practitioners in the state.